The Exercise Bike from HOMCOM with an LCD monitor is an ideal solution to your workout routine. The exercise bike offers a full body workout keeping in check using the LCD monitor to show you time, speed, pulse and calories. 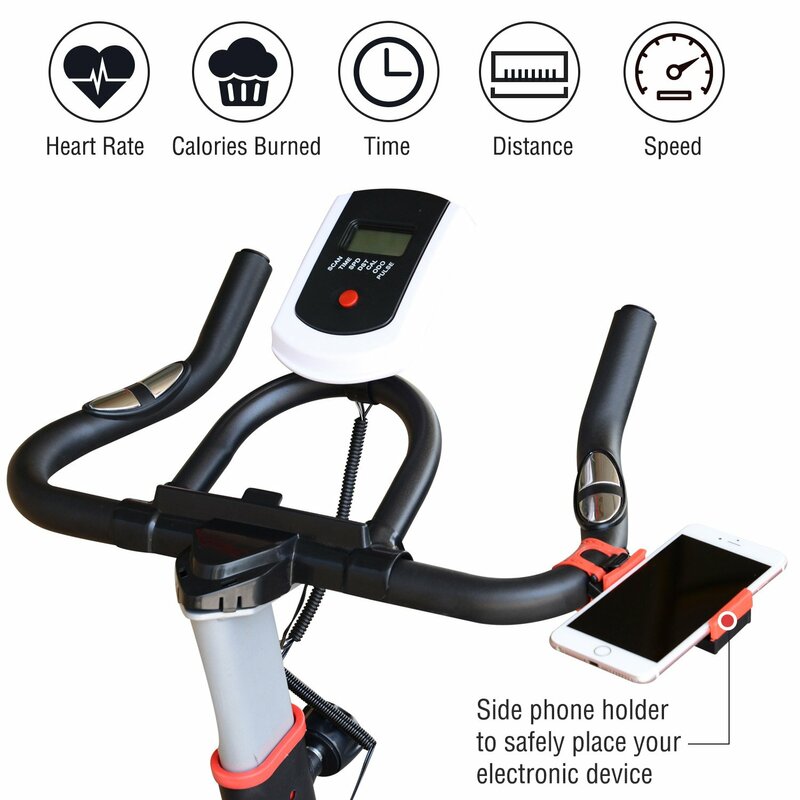 Adjustable seat height, handlebar height, and belt-driven resistance allow you to modify your workout to a perfect condition. You can easily control the resistance via the knob to find a perfect workout condition. Would be a great addition to your fitness regime.